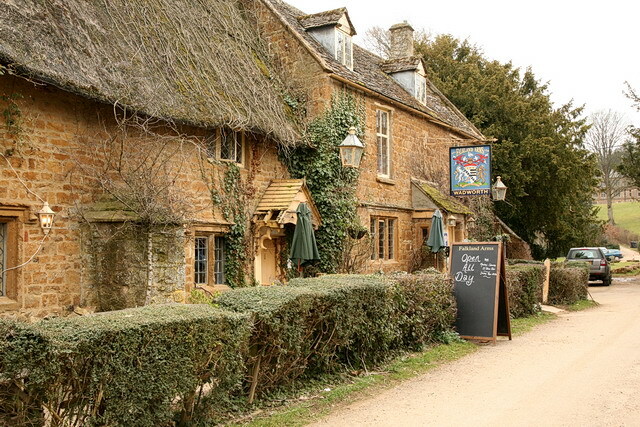 Great Tew is a village and civil parish in the Cotswold Hills in Oxfordshire, England, about 5 miles northeast of Chipping Norton and 8 miles southwest of Banbury. PRIVATE WILLIAM THOMAS DEAN was serving as a Private with the 1st Battalion, The Royal Berkshire Regiment when he died of his wounds on 31st August 1918. He was aged 19 and is buried in Ligny-sur-Canche British Cemetery. He was the son of Harry and Jane Dean of Barn Cottages, Tracey Farm near Great Tew, having been born in Fulwell. He had enlisted in Oxford, first joining the 6th Battalion of the Somerset Light Infantry before joining the Royal Berkshires. As part of the 2nd Division his Battalion was involved in the Second Battle of the Somme from 21st August 1918 when the Allies advanced across the old 1916 Battlefields. He was wounded in action on 31st August during the Battle of Bapaume and died shortly after in a Casualty Clearing Station at Ligny-sur-Canche. PRIVATE HENRY VICTOR FRIEND was serving as a Private with the 2nd/6th Durham Light Infantry when he was killed in action on 6th October 1918. He was aged 31 and is buried in Ration Farm New British Cemetery. He had been born in Great Tew to parents Henry and Jane Friend. He worked a a railway clerk at Cradeley Heath near Dudley. He enlisted into the reserve Queens Own Oxfordshire Hussars in Banbury on 31st August 1916. He had applied for exemption for military service but this was rejected and he was called up on 2oth November 1916 whilst living at 42 High Street Banbury. He was sent to work as a temporary clerk at in the 82nd Provisional Battalion at the HQ of 72nd Division in Bath. However as the 82nd had been affilated to the Royal Warwickshire Regiment he was then sent to Birmingham. He served in England until 9th August 1918 when due to the shortage of manpower after the German Spring offensive in 1918 he was sent to France. He joined the 2/6 Battalion of the Durhams in the field. He was killed during the final advance into Flanders and Artois. He had originally been buried near where he fell in Ferme du Biez Military Cemetery La Chapelle D'Armentieres, but was re-interred after the Armistice. ALBERT HENRY GOUGH was serving as a Private in the 2nd Battalion, Royal Warwickshire Regiment when he was killed in action on 4th May 1917 during the Arras Offensive. He was aged 24 and is commemorated on the Arras Memorial, having no known grave. He was the son of Joseph and Elizabeth Gough of Great Tew and had worked as a carter on a farm. He married Sophia Carter in March 1916 in Banbury. He enlisted into the Oxfordshire and Buckinghamshire Light Infantry in Banbury before transferring to the Royal Warwicks. He was killed during the action to capture the village of Bullecourt. FREDERICK GEORGE HARTLEY was serving as a Corporal with the 19th Battalion, Machine Gun Corps, (Infantry) when he was killed in action on 13th September 1919. He was aged 21 and is buried in Svyatnavolok Churchyard. He was the son of Frederick and Sylvia Hartley, having been born in Southam. He joined the 95th (Young Soldier) Training Reserve Battalion before being posted to the 19th Battalion MGC which was formed on the 14th of February 1918 from the Machine Gun Companies of 19th (Western) Division. They fought on The Somme during The Battle of St Quentin and The Battle of Bapaume and in the Battles of the Lys at Messines, Bailleul and The First Battle of Kemmel Ridge. They fought in The Battle of the Aisne and during the Final Advance in Picardly they were in action in The Battle of the Selle, The Battle of the Sambre and the passage of the Grand Honelle. At the Armitice were were in billets near Bavay. In May 1919 the Battalion was sent to Russia as part of the North Russia Relief force, helping White Russians in their fight against the Bolsheviks. In September he was in action in the Ussuna/Koikori area when he was killed in action. His original grave has been lost and he is commemorated on the Murmansk Memorial. GEORGE HERBERT KNIBBS was serving as Private with the 2nd Battalion, The Hampshire Regiment when he died of fever whilst a prisoner of the Turks, on 8th November 1916. He was aged 19 and is buried in Baghdad North Gate War Cemetery in Iraq. He was born in Swerford to Sarah Knibbs Rose and had been living in Great Tew with his grandparents, working as a farm labourer. He had enlisted into The Oxfordshire and Buckinghamshire Light Infantry in 1914 then transferred to the Hampshires. They sailed from Avonmouth on 29th March 1915 for Gallipoli, going via Egypt. They landed at Cape Helles on 25th April 1915, as part of the 88th Brigade, 29th Division and fought in the Gallipoli Campaign. During this Private Knibbs was taken prisoner. LESLIE JOHN RICHARDS was serving as a Private with "C" Company the 6th (Service) Battalion, The Oxfordshire and Buckinghamshire Light Infantry when he died from wounds received in the Battle of the Somme on 19th October 1916. He was aged 23 and is buried Grove Town Cemetery, Meaulte . He was the son of John and Mary Richards of Tracey Farm, Great Tew, where he assisted running the family farm. He enlisted into the Territorial Battalion of the Queen's Own Oxfordshire Hussars, before transferring into the 6th Ox and Bucks. He arrived in France with the Battalion on 22nd July 1915 as part of the 20th (Light) Division. The fought in the Battle of Mount Sorrel between 2nd and 14th June 1915, recapturing the heights from the Germans. From 14th July they were in action in phases of the Somme offensive, fighting in Delville Wood, Guillemont, Flers-Courcelette and Morval. On 1st October they took part in the Battle of Le Transloy, A period of fighting in terrible weather in which the heavy, clinging, chalky Somme mud and the freezing, flooded battlefield became as formidable an enemy as the Germans. The British gradually pressed forward, still fighting against numerous counter-attacks, in an effort to have the front line on higher ground from which the offensive could be renewed in 1917. Private Richards was wounded in action with a penetrating gun shot wound to the chestand died at a casualty clearing station at Meaulte. GEORGE EMERSON VIPOND was serving as a Private with the 38th Battalion, The Eastern Ontario Regiment, Canadian Infantry when he was killed in action on 2nd September 1918. He was aged 38 and is buried in Dury Mill British Cemetery. He was the son of William and Jane Vipond and was born in Middleton, Teeside. He moved to Great Tew where he was a student farmer at Tracey Farm, owned by the father of Leslie Richards (above). He also served 3 years in the territorial Queen's Own Oxfordshire Hussars, making lance Corporal. In 1904 he married Margaret Richards, Leslie Richard's sister in Great Tew Parish Church. They moved to Walcot Farm in Charlbury where they had a son and daughter, and he was a tenant farmer. On 18th January 1912 he boarded the SS Minnewaska at Southampton bound For New York, leaving his wife and children behind in Charlbury. He lived at Hawthorn Farm, Libertyville, Illinois where he worked as a coachman. In July 1917 he travelled to Toronto to enlist in the Canadian Expeditionary Force. He joined the 58th Battalion in the field on 29th March 1918, transferring to the 38th in early August 1918. He was killed in action during an assault on the village of Dury, between Arras and Cambrai. In August, 1918, Dury was behind the German defence system known as the Drocourt-Queant line, but on the 2nd September this line was broken by the Canadian and XVII Corps, and Dury village and the hill just South of it (Mont Dury, or Dury Ridge) were captured. HARVEY JOHN WILLIAMS was serving as a Private in the 3rd Battalion, the Coldstream Guards when he was killed in action on 29th September 1915. He was aged 26 and is buried in Dud Corner Cemetery in Loos. He was the son of John and Mary Williams, having been born in Milton, Wiltshire. In May 1907 he enlisted into the Coldstream Guards in Devizes and in September that year married Ellen Cooper in Cowley. He served for 4 years before being discharged to the reserves. He became a Police Constable in Kingham, later moving to Great Tew. He was recalled for service at the outbreak of war and was sent to France with the 3rd Battalion Coldstream Guards on 14th August 1914. On 23rd they moved up to engage the Germans at the Battle of Mons, holding up the enemy for 24 hours although heavily outnumbered. They then took part in a fighting retreat back to the outskirts of Paris where the German advance was halted in the Battle of the Marne on 6th September. From 13th September they were involved in the Battle of the Aisne when the British and French counter attacked the German positions. From 19th October 1914 the Battalion was involved in a series of actions in First Battle of Ypres, successfully defending it from the Germans. In January and February 1915 the 3rd Battalion were in action in Cuinchy where they beat of a German attack on their lines and later counter-attacked, capturing ground from the enemy. On 15th May they were engaged in the first night attack at The Battle of Festubert, during which small gains were made. From 26th September 1915 the Battalion was involved in the Battle of Loos, Private Williams being killed in action during the ill fated attempt to capture the town. FREDERICK YEATES serving in as Lance Corporal with the 2nd Battalion, The Oxfordshire and Buckinghamshire Light Infantry when he was killed in action on 16th May 1915. He was aged 21 and he is commemorated on Le Touret Memorial, having no known grave. He was the son of Henry and Mary Yeates, having been born in Garsington, Oxford moving to Watlington where he worked a milk boy on a farm. He was living and working in Great Tew when he enlisted into the Ox and Bucks in January 1912 in Oxford. He arrived with his Battalion in France on 14th August 1914 as part of the 2nd Division. They fought in the Battle of Mons and the fighting retreat to the Marne where the German advance was halted on the eastern outskirts of Paris. The then fought the Germans to a standstill at the First Battle of Ypres during October and November 1914. On 13th May 1915 the Battle of Festubert opened with an intense bombardement, however there were no high explosive shells and a high proportion of shells failed to explode. On 16th May the German lines opposite the 2nd Ox and Bucks trenches had been heavily shelled and the Battalion advanced on their positions capturing the 1st and 2nd line trenches. Private Yeates was killed in the attack. RODNEY MAXWELL COLES was serving as a Flight Lieutenant, pilot, with 211 Squadron, the Royal Air Force when he was reported missing, presumed killed, on 18th October 1944. He was aged 27 and is commemorated on the Singapore Memorial, having no known grave. He was the son of Oscar and Martha Coles and was born in Great Tew. He had been a Flight Cadet at RAF Cranwell, passing out as an acting Pilot Officer on 14th January 1939, being confimed in the rank on 31st October. After a tour in Coastal Command, he was posted to Canada in April 1941, where he was associated with retrieving aircraft from Seattle to Canada under lend-lease arrangements. He was then posted to 211 Squadron, which had been re-formed in India from August 1943 with the Bristol Beaufighter X, the Squadron was to be heavily engaged as a long-range strike fighter unit against the Japanese in Burma from January 1944On 18th October 1944, six aircraft led by S/Ldr Martineau attacked Mingaladon airfield in Burma. Five miles out, they observed aircraft above the target but pressed their attack home. F/Lt RM Coles and his navigator F/O RS Painter were last seen breaking off to the South-East having completed a run over the airfield. Japanese Ki 43 Oscars gave chase to all the Beaufighters but failed to make contact. However, Coles and Painter did not return. They were posted missing and were not found by the post-war RAFMES search parties. His widow, Martha May Coles had lived with him at Porch House, Great Tew, she lived in the village until her death in 1974. Armoured Corps when he was killed in action on 19th October 1944. He was aged 34 and is buried in Soestbergen General Cemetery, Utrecht. He was the son of William and Florence Harper and was born and grew up in Great Tew. He had served with the Oxfordshire and Buckinghamshire Light Infantry before transferring to the 61st Reconnaissance Regiment. As part of the 50th (Northumbrian) Regiment they landed on Gold Beach on D-Day, 6th June 1944. They were at the forefront of fierce fighting alongside the 7th Armoured Division to push the Germans Regiment out of the Caen area. They then advanced up to Falaise and crossed the Seine on 29th August, breaking out into Belgium and entered Brussels on 2nd September 1944. On 7th September the Regiment advanced towards the Netherlands had fought in the Battle of Geel, establishing a bridgehead in the town. On 17th September they took part in Operation Market Garden and then moved into the Nijmengen Salient where they faced repeated counter-attacks from the Germans. Sergeant Harper was killed in action at this time. ERIC GEORGE NEWELL was serving as a Private with "D" Company, the 2nd (Airborne) Battalion, The Oxfordshire and Buckinghamshire Light Infantry when he was killed in action on 7th June 1944. He was aged 27 and is buried in Herouvillette New Communal Cemetery. He was the son of Eva Newell of Great Tew and was a garden labourer before the war. As part of Operation Deadstick just before the landings on D-Day on 6 June 1944, D Company commanded by Major John Howard as well as 30 Royal Engineers and men of the Glider Pilot Regiment (a total of 181 men), were to land in six Horsa gliders to capture the vital structure which became known as Pegasus Bridge over the Caen Canal and the bridge over the Orne River which became known as Horsa Bridge and was east of Pegasus. Their capture was intended to secure the eastern flank to prevent German armour from reaching the British 3rd Infantry Division that was due to commence landing on Sword Beach at 0725. D Company landed very close to their objectives at 16 minutes past midnight (the first Allied unit to land in France). The soldiers poured out of their battered gliders, completely surprising the German defenders, and taking the bridges within 10 minutes. The Ox and Bucks platoons holding the bridges were relieved by the 7th Battalion of the Parachute Regiment at 0300. The Germans attempted to re-capture the bridges, but were repulsed. . On 7 June the battalion captured the small village of Herouvillette and then headed for the village of Escoville where it met some extremely determined resistance. Having experienced intense fighting with German troops supported by armour and unable to successfully dig-in and hold the village, the battalion withdrew, moving back to Herouvillette where it took part in its defence. Private Newell was killed during this action.